An unlimited continental breakfast spread is bundled up in your room rate, so you can kick the day off properly (from 3am, if you're jetting off early) then choose from our full menu from 11am to 10pm. 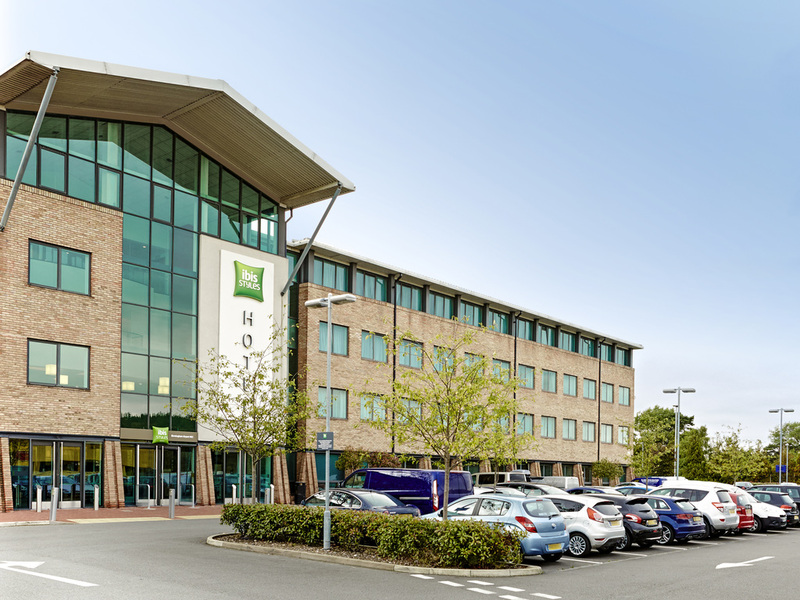 So whether you're flying off from Birmingham International Airport, attending a concert, conference or exhibition at the NEC (five minutes on foot) or just indulging in some good old-fashioned retail therapy, ibis Styles Birmingham NEC and Airport lays it all out at your feet. Often nicknamed the UK's 'second city', Birmingham is a thriving, multicultural destination, home to beautiful canals, vibrant nightlife and impressive art galleries and museums. All this and more can be reached in just 15 minutes by train. Enjoy a plate of something tasty without leaving the hotel: our on-site restaurant serves up everything from light bites to three-course meals, all day long. So you can take your time over good food in bright, modern surroundings. We stayed as we had an event at the NEC. We had a family room. We were a bit disappointed to find our bed was two singles pushed together and they weren't joined to they separated during the night. Luckily no one had fallen through. They were also extremely hard. I am pregnant and have to sleep on my side. I was extremely uncomfortable and had a terrible night's sleep. The bedside lights wouldn't switch on unless all the lights were on in the room. For the price tag we found the room very basic. The breakfast was disappointing and tasteless. Good value, clean, close proximity to BHX and breakfast was a bonus. Have stayed multiple times before. 5 mins walk from Birmingham International train station. Booked me a taxi for the next morning. Friendly staff. Comfortable room. Hotel room was very poorly maintained and serviced. Shower grout was missing in places leaving holes in flooring. Walls were marked, gouged and stained. Curtains were also stained next to the bed ( children were confused by explanation of someone eating yoghurt in bed and flicking it on the curtains) Dust covered surfaces visible on radiators. Clean pillow covers were provided but pillows inside were stained and matted with hair. We did not dare check any further on bedding for fear of making ourselves physically sick. Management offered an alternative room. That was of a similar standard. They also acknowledged that shower grouting and the holes in floor had been a problem for the last 3 years of his tenure, but they were so busy they had little time to remedy. Evening meal was basic but acceptable, although overpriced. Breakfast was basic, and worthy of a youth hostel. Basic food items, that were of a pretty low standard. Overall we would not return to this hotel even if paid to do so. Or would we visit any other Accor hotels. Most Ibis Styles hotels are quite 'groovy'..... I felt this missed out somehow. It was very cold in the restaurant, food was fairly indifferent and although the beds were comfortable, the pillows felt as if they were stuffed with sand. However the staff were excellent, very obliging and friendly. It was satisfactory apart from a freezing cold restaurant and pillows that was extremely solid. Friendly and helpful staff who knew the area of Birmingham well. Check in and check out was nice and easy. Breakfast was great with a good variety of food for an included breakfast. The room was clean and served its purpose. There were a few little issues with the room such as the toilet flush was broken, the tiles on the bathroom floor were peeling up slightly and the beds were uncomfortably hard. However these were only minor things and didn't disrupt our sleep or stay very much Overall, we would stay at an Ibis Styles Hotel again. The main beds were like planks of wood. The sofa bed was thin with springs poking through and very noisy. Experience ruined by incompetent, thoughtless, and surly Reception staff. You may decide to invest in better training and/or staff. The Reception staff failed to warn me that my key card would be wiped if I entered the NEC building or kept the card near my phone. Had they done so I would have simply kept the key in my car. Consequently on my return to the hotel I had to join the long queue at Reception to get my card reprogrammed. When I asked why I hadn't been alerted to this issue on arrival (I was attending an event at the NEC as were most guests on that day), I received no explanation, but was given a clearly insincere and surly &quot;apology&quot;. Your Reception staff are highly skilled at passive aggressive behaviour. On the positive side the Restaurant staff were without exception friendly and helpful, although the food quality was mediocre. My room was fine (but no better than a Travelodge or Premier Inn). The complimentary bottle of water was a nice gesture, although only one bottle for a 2 night stay. Finally, when I departed, the Reception staff of course failed to tell me the code to raise the carpark barrier. Experience was very good, when we got there we realised that we had booked the wrong day but they sorted a few things out to fit us in even though they said they were fully booked. But tried to charge us more for the room I had to argue to get it to the price we had been quoted. Room was very small but nice, a little tlc is needed grout in the tiles missing and Mouldy in the shower and toilet button is was half broken. Very Dusty sofa arms dirty and dust on mirror. Tv unit not very stable but overall very nice. The room was good and comfy and perfect especially for what we paid for if anything, and more. Staff at reception were helpful and friendly and also staff in the morning at breakfast.